Battery Fence Energiser recommended for use with Cattle, Horses, Cats and Dogs. 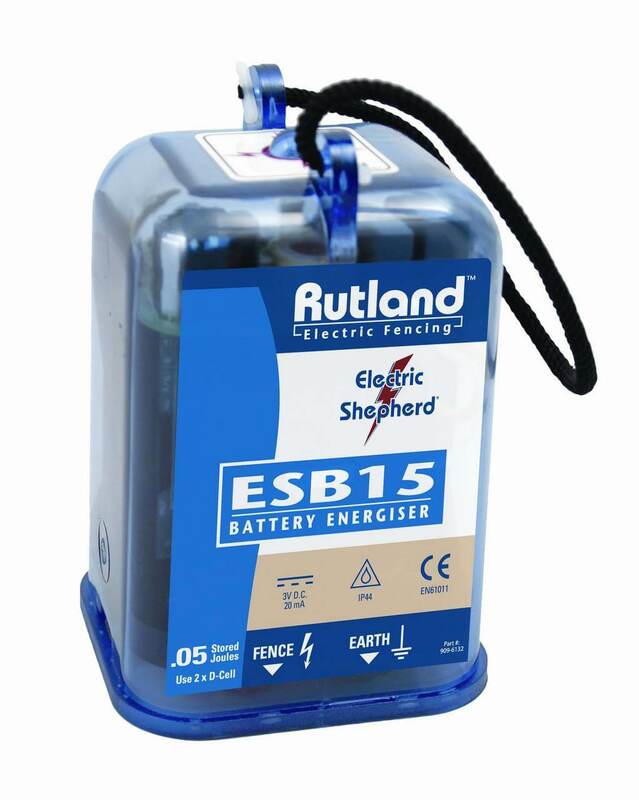 The ESB15 Battery energiser is dry battery powereded suitable for paddocks and short lengths of electric fence runs where no contact with vegetation is likely. The energiser uses two 1.5 volt "D type" cell batteries which fit in energiser case (batteries are not supplied with energiser but can be purchased here). Battery Fence Energiser comes complete with hanging cord, connection leads and stainless steel jawed crocodile clips. A pulse indicator light is present at the top of the device.